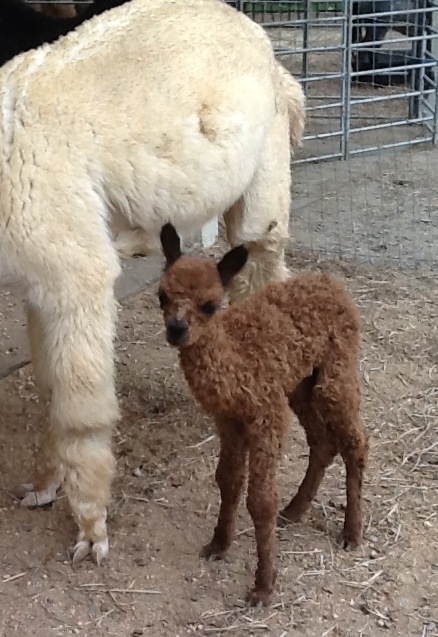 Rita Dee Farms is excited to announce the arrival of Corona Lite and her new cria, Agador Sparticus. This lovely couple come to us from Vinca Hill Fiber Company. They will be agisting with us and hopefully, very soon Agador will have three crias from our own herd to play with. Check out our calendar of events to see who is due this fall. Vinca Hill Fiber Company is owned and operated by Jerry and Melisse Hopping. We consider Melisse our fiber guru, our fiber artist and, on shearing day, she morphs into the fiber nazi. But that’s okay, we had “fiber to die for” according to Echoview Fiber Mill. Melisse has provided instruction in all types Fiber Arts at the Sawtooth School of Visual Arts including knitting, spinning, felting and weaving. Unfortunately, Sawtooth deleted their fiber program, so we intend to pick-up where they left off. Fiber friends, please register on this website, so you can start getting our class schedules.